National Lampoon was an American humor magazine which ran from 1970 to 1998. The magazine started out as a spinoff from the Harvard Lampoon. 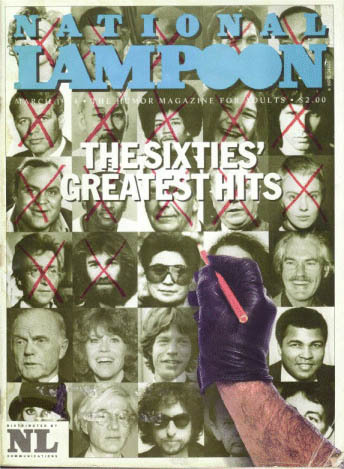 National Lampoon magazine reached its height of popularity and critical acclaim during the late 1970s, when it had a far-reaching effect on American humor and comedy. 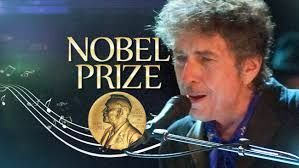 The magazine spawned films, radio, live theatre, various sound recordings, and print products including books. The evolution of society is such that it would be very difficult or even unthinkable to publish this kind of magazine now. 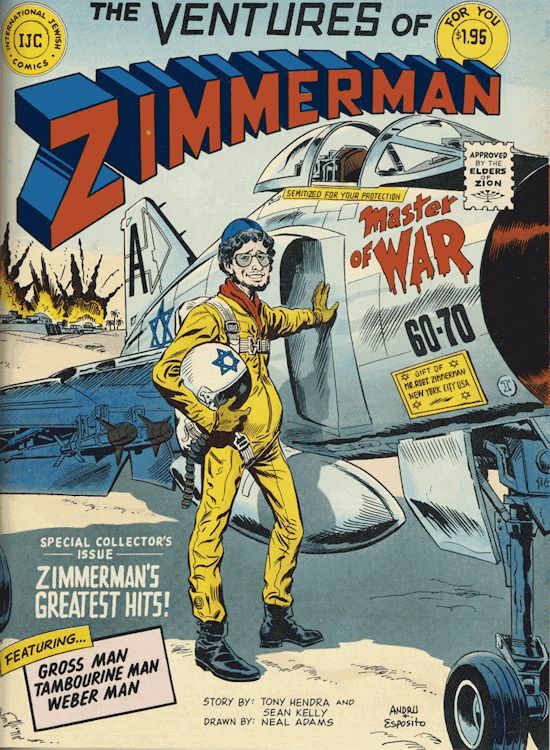 THE VENTURES OF ZIMMERMAN, by Tony Hendra and Sean Kelly, drawn by Neal Adams, October 1972. This is actually a part of the magazine, not the front cover. 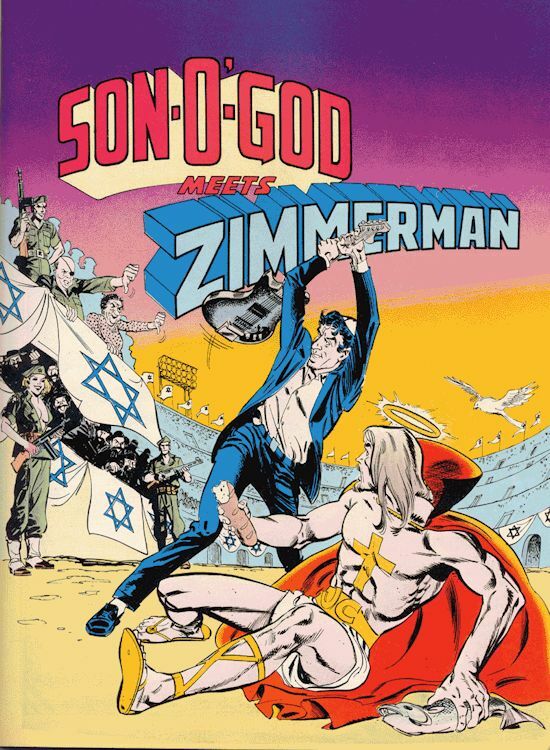 SON-O-GOD MEETS ZIMMERMAN, by Michael Choquette and Sean Kelly, drawn by Neal Adams. May 1974. The Son-O-God serie debuted in National Lampoon #22, January 1972. This is actually a part of the magazine, not the front cover. 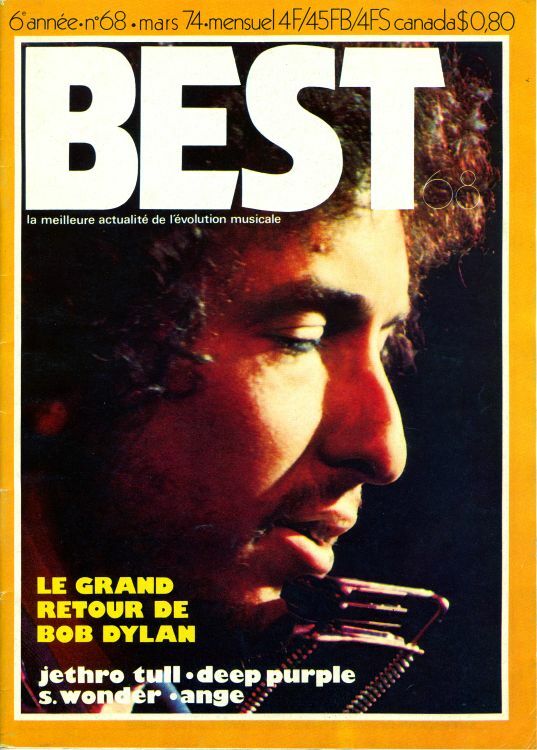 March 1984, no Dylan content inside .